When Henry Ford built the sprawling Rouge River Plant in the 1920s, cargo ships would unload huge blocks of iron ore at one end of the facility, and brand-new Model A Fords would drive out the other end. Of course, it helped that Ford owned forests, mines, ships and even a rubber plantation at the time. The automotive material world has changed a lot in 90+ years, but locking in a supply chain is still key, especially if you’re introducing innovative new materials. 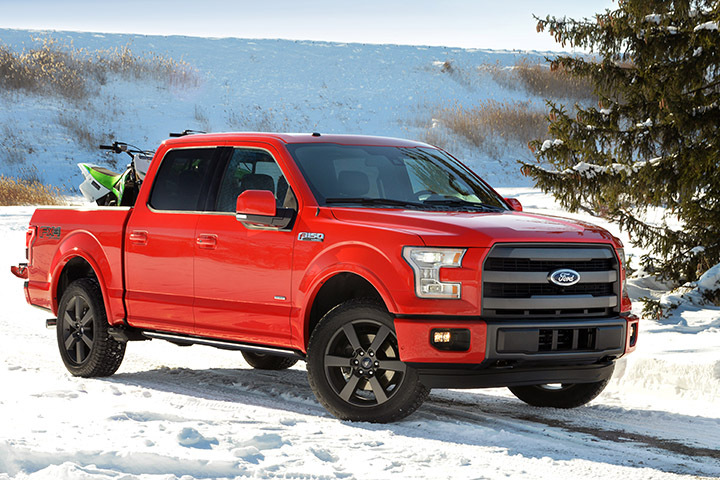 The aluminum-intensive 2015 Ford F-150 shown at the recent North American International Auto Show in Detroit represents a dramatic gamble that could reset the status quo in the pickup truck market. But while the engineering story is intriguing, so is the supplier/OEM arrangement between Ford and Alcoa. Keep in mind that we’re not talking about a low-volume Jaguar, Land Rover or Audi model – all early adopters of aluminum bodies. 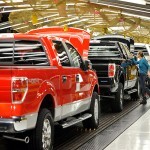 Ford sold more than 760,000 F-Series trucks last year. 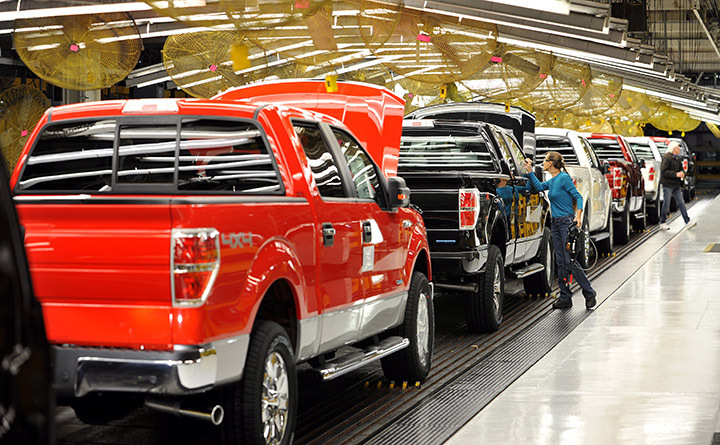 On average, a new F-Series pickup truck is made every 41 seconds. 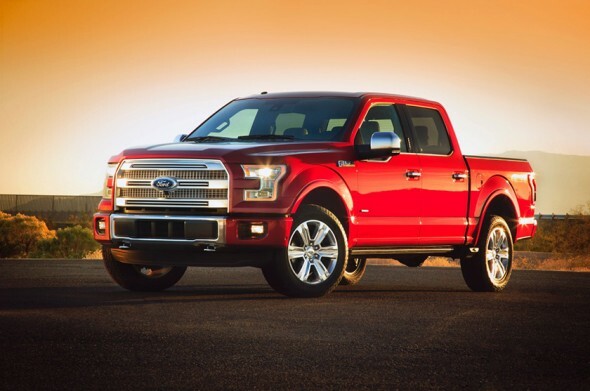 And the F-Series has been America’s best-selling vehicle (not just truck) for 32 years. So any change in the F-Series is big news. 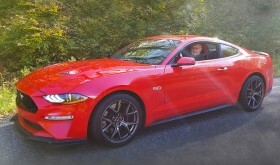 As Ford president and CEO Alan Mulally told Time Magazine recently (1/13/14), “Everything becomes more efficient once you take the weight out.” Yes, there are downsides, or at least “unknowns,” such as cost and repairability. 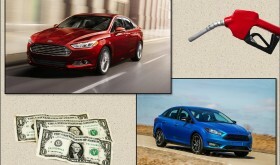 But Ford is not about to make a multi-million dollar mistake on the F-Series. Ford is quick to note that they are using “high-strength, military-grade aluminum alloy” for the F-Series body. And the fully boxed frame is still steel. In fact, 77% of the frame is made of high-strength 70,000-psi steel to improve durability. And as you would expect, this innovative pickup has been thoroughly torture-tested. 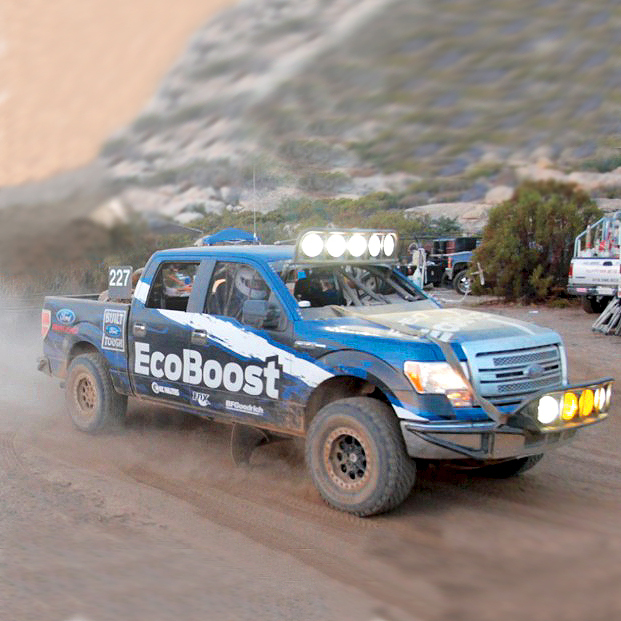 A disguised F-150 competed in the 2013 Baja 1000 off-road race. A fleet of pickups with the new aluminum-alloy beds went into service with a mining company, energy utility and construction firm, covering 300,000 miles in two years. “We put the truck through some of our testing longer and further than we have ever done before,” notes Ford development manager Peter Frantzeskakis. 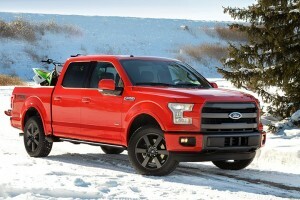 When the F-150 goes on sale later this year, it will have covered more than 10 million test miles. 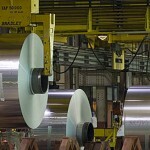 Alcoa predicts that demand for aluminum used in light-duty vehicles will nearly double in the next 10 years. Can we expect Chrysler/Ram and GM to follow suit with their own aluminum-bodied trucks? That may not be easy. 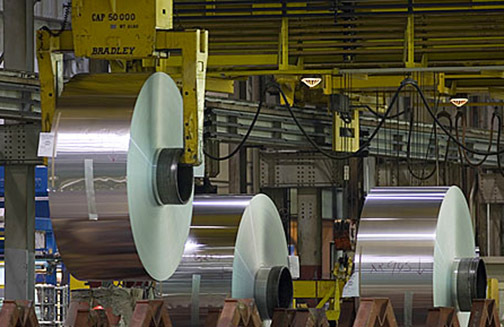 According to Bloomberg News, the price for spot-market aluminum is skyrocketing. Of course, Ford has a long-term contract, so that’s not an issue. Alcoa’s Marketing Director, Randall Scheps, noted during the recent Autoline Supplier Symposium (1/17/14), “Bring us in early; bring us in 3 years ahead of time.” In short: Materials suppliers need 3 year’s notice in order to meet automakers’ demands. So while Ford may not have cornered the market on high-grade aluminum-alloy, as Henry Ford tried to do with some suppliers decades earlier, the company has obviously made a very canny move to ensure that no one else can duplicate its efforts for several years. 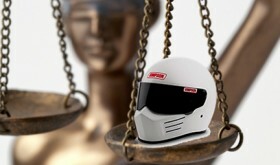 Now, is there a lesson here for carbon-fiber?